DescriptionAs with the Tuxedo boxes, these are used mainly for the gentlemen guests. Their sophisticated appearance make them a perfect masculine wedding favour. 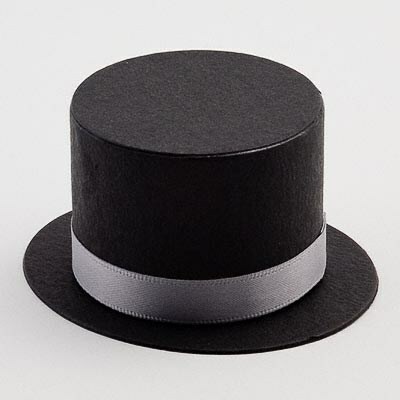 These wedding favours contain: 1 Top Hat design Filling of your choice Tissue Paper Size Approx. 4cm high x 7.5cm across the brim. As with the Tuxedo boxes, these are used mainly for the gentlemen guests. Their sophisticated appearance make them a perfect masculine wedding favour. Size Approx. 4cm high x 7.5cm across the brim.